England captain Steven Gerrard will use the pain of past disappointments at major tournaments as inspiration in the Euro 2012 quarter-final against Italy in Kiev. Gerrard will lead out Roy Hodgson's side after suffering last-eight exits on penalties to Portugal in Euro 2004 in Lisbon and again two years later at the World Cup in Gelsenkirchen. He said: "Since I made my England debut I've dreamed of doing well in these major tournaments and up to now that hasn't happened." 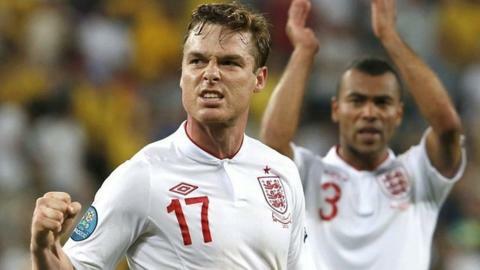 "The best description I've seen of England at Euro 2012 is that they are the ugly ducklings that have got through. It's true, because they have not been easy on the eye." Gerrard added: "There is another chance to do it and because of the hurt and the pain I've been through before I'm hoping it is going to be different this time. I'm going to give it everything I've got to try and make a difference." And the 32-year-old - England's outstanding Euro 2012 performer - says the fact the prize is so close adds to the squad's determination to avoid another agonising tournament exit. "When you get to this stage of a major tournament you can see what is in sight and you start to dream, so to lose any quarter-final match hurts very much", said Gerrard. "This is a fantastic moment for this team and this group of players and it is important we grasp it and don't go home with regrets. The only thing we can do is try to play to a good level and do our best." And he added: "We've shown how together we are and how we are prepared to fight for each other, and at the right times we've provided the bit of class you need to come through the group stage and top it. "We're really pleased that it's 'so far so good' but we also realise that now the level of teams goes up a notch and that tells you that you need to raise your own game. "We need to perform better than we have done in the group so far."